(Natural News) Whole Foods has just filed a restraining order against a vegan activist group that advocates for animal welfare. The animal rights group, Direct Action Everywhere (DxE) is known for going to extreme lengths to send their message — and this time, a Berkeley, CA storefront says, they took things too far. DxE is known for their heavy-handed protesting: Some of their in-store tactics include chanting, covering eggs with fake blood, acting out animal slaughters and displaying graphic photos of butchered animals in the aisles. The group also strung up a banner which read, “OCCUPY WHOLE FOODS” outside of the Berkeley location, though the restraining order did prevent DxE from entering the store to further harass employees. Whole Foods filed the restraining order in the days leading up to a week-long planned protest. DxE says they had hoped to call attention to the animal welfare rights violations they allege the grocery chain’s suppliers are committing. It is important to note that DxE is not protesting at the company’s headquarters; they are protesting outside of regular shopping centers — and they are known for their disruptive protests at grocery stores. Fox News reports that in early 2018, a DxE activist covered herself in animal feces in front of a Trader Joe’s in San Francisco. Apparently, she was protesting living conditions at farms that supply eggs. According to reports, Whole Foods is looking to get DxE barred from entering any of their locations in the state of California. In late October, a judge will review their request, but for the time being, DxE is only banned from Whole Foods stores in Berkeley. The company’s complaint, which was filed at the Alameda County Superior Court, is that DxE protests prevent customers from being able to shop safely, and they are a danger to everyone in the store, including themselves. Factory farming is a major concern for many people; the conditions under which animals are raised can be downright atrocious and there are many issues within the industry, including its effect on the environment. However, this does not give any group the right to do whatever they please when it comes to protesting and drawing attention to these problems. Harassing storefront employees is not going to change the way the livestock industry does business, nor will it help increase transparency in the food industry. 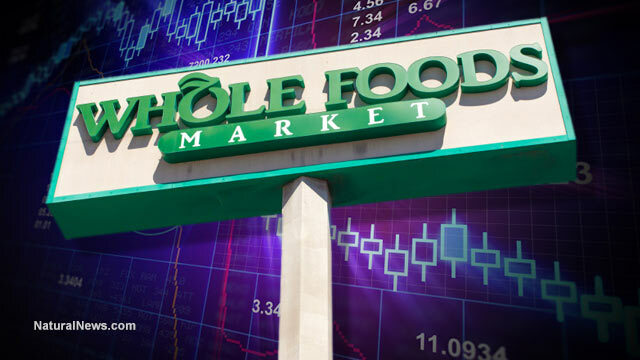 DxE has said that they want to increase transparency in the food industry and want “answers” from Whole Foods, but claims that it is the company which is “escalating” the situation. You can see more coverage of stories of outrageous behavior at Stupid.news.